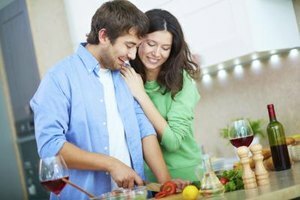 How Can I Get My Husband to Eat Better? What Makes Men Feel Needed in a Relationship? We all need a little support now and then. 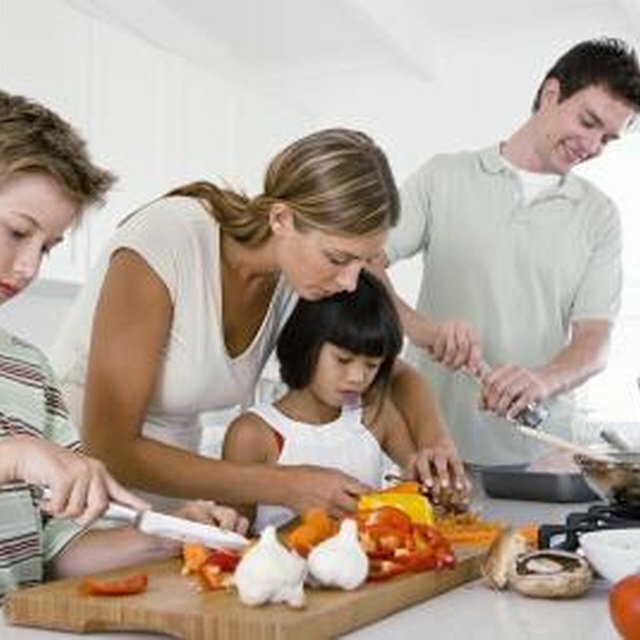 1 How Can I Get My Husband to Eat Better? 3 What Makes Men Feel Needed in a Relationship? Whether he's trying to improve his diet or fitness regimen, spend more time with the kids, land his dream job or start a new maintenance project on the house, your man may need a little spark to get him started. As his significant other, you can be an asset to your husband by cheering him on and motivating him in healthy ways. Extrinsic rewards are rewards that come from outside. You may offer to cook your husband's favorite food, butter him up with some ego-massage or promise him something he is waiting for. These can be effective in the short term for motivating your husband to do something small or uncomplicated, such as doing a chore, sending a bill payment or taking the car to the shop. An intrinsic reward "satisfies a deep interest or desire in another person," according to certified mediator Kate Stewart in her article "How to Motivate Your Spouse" for the website Hitched. In order to provide intrinsic motivation, find out what his deeper desires are. You can do this by asking open-ended questions about his attitude toward the goal and really listening to their answer. If his goal is to stop eating unhealthy fast food at lunchtime, ask, "Can you help me understand why you don't want to pack your lunch ahead of time?" If he says, "Because I'm not thrilled about our food selection," you can motivate him by helping him shop for foods that he loves and looks forward to. When talking about your husband's goal to him, talk about it using collaborative language that makes him feel like you are in it together. Use words such as "we" and "us" -- not just "you." Using language that makes it seem that you are partners in achieving his goal, rather than leaving him to figure it out on his own, symbolically unites you both and makes your husband feel more supported. As opposed to feeling like he is changing to please you, he can now view that you are partners striving toward a similar end. Examples are "What can I do to support you in your goal?" or "How can we improve our time management so that you don't feel so pressured to achieve this goal?" Giving praise when praise is due and pointing out strengths and talents in your husband can go a long way toward positive motivation, according to researcher Sarah Elaine Eaton in her website article "Proven Tips on Motivating Others." If you see your husband making strides or reaching milestones in his goal, tell him. If your husband has a goal to exercise four times per week, but he's been putting in two really good days, praise him for those good days and compliment him on his progress so far. Positive praise will help him to want to continue. If he is trying to land a new job, but he's had a series of really good interviews, acknowledge the steps that he is taking toward the larger goal. Psychology Today: When Does Feedback Increase or Decrease Motivation?